CP Automation, the UK distributor of Elektrotechnishe Anlagen’s RevCon system has completed its 200th UK application using the system. RevCon’s global installed base is now in excess of 10,000 units and the product can be found in industries from testing for engines, transmission and braking to the built environment. 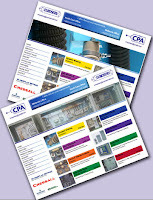 Amongst CP Automation’s installations in the UK are One Canada Square, the tallest elevator in Europe, and the newly re-opened Express Lift Tower in Northampton. RevCon, which returns the energy produced when a motor slows down to the grid, has proven hugely popular in the testing for engines, transmission and braking industry. Because the motors driving such applications are required to brake constantly as the application slows down and stops, the potential for saving with the unit is much larger than in some other sectors. RevCon can use a feed-in tariff, similar to those found on domestic and semi commercial wind turbines, to allow the customer to charge the electricity supplier for the returnedpower should the building or factory not use the energy locally. RevCon will work with any AC drive and is much more cost efficient than using two inverters to achieve the same effect. The product can be retrofitted to any inverter, irrespective of design or manufacturer, thanks to its versatile non-software driven installation protocol. http://cpa-pr.blogspot.com/atom.xml. If you don’t have an RSS reader, I can recommend the following free package Sharp Reader.